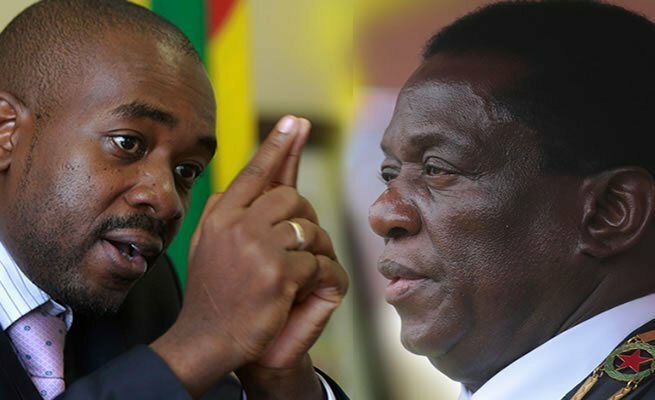 Crisis in Zimbabwe Coalition (CiZC) notes President Emmerson Mnangagwa’s call for a national dialogue with political parties that participated during the 2018 national elections, with concern. As an umbrella body of civic society organizations in Zimbabwe advocating for democratic development, we reiterate our call for an inclusive process on the national dialogue that brings all stakeholders together beyond political boundaries. We further clarify that in our view the national dialogue that we continue to call for is not predicated on creating another version of a Global Political Agreement or an elite power sharing deal. We reiterate that our envisaged national dialogue should be a reform process that seeks to safeguard the interest of citizens by restoring the Social Contract between the citizens and those that govern. In this regard, we hold the firm view that the national dialogue process must never be restricted to political parties but should rather bring on board a cross section of stakeholders that include civic society, labour, women, youth, person living disabilities, farmers, media, students, religious groups and business among other critical stakeholders. Restricting the dialogue process to political parties will only create a political pact that excludes the concerns of ordinary citizens. This therefore underlines the importance of a mediator accepted by all stakeholders and guarantor at the African Union or United Nations level. We reiterate that efforts at arresting the multi faceted crisis facing the country are hinged on a proper national dialogue process that seeks to put the concerns of ordinary citizens on board. Addressing the Zimbabwean crisis implies addressing the concerns of the ordinary citizens who have had to bear the brutal effects of an economic meltdown stemming from a constitutional and legitimacy crisis. Government needs to honour its social protection obligations and this is achievable through wide consultations hence the need for an inclusive process. On our part as Crisis in Zimbabwe Coalition, we have set our minimum demands for the national dialogue process based on wider consultations with our membership around the country. 1) It is our conviction that the national dialogue process must involve all stakeholders and should be hinged on a national visioning process that has civil society, government, political parties, business, religious groups and labour unions among other critical stakeholders. The dialogue process should produce a clearly timed roadmap to the demilitarisation of civilian political processes and the restoration of normalcy by focusing on key political, economic and social reforms. In this regard, we call for FULL CONSULTATION of all stakeholders rather than cosmetic processes. 3) The Government of Zimbabwe must uphold and guarantee citizens’ rights as enshrined in the Zimbabwean Constitution and other regional and international human rights treaties and statutes. Full implementation of the country’s constitution is equally important in promoting democracy in Zimbabwe. 7) There is need for non-interference into the work of institutions that support democracy. This again calls for full implementation and respect of the country’s constitution. Also, government must not be seen to be criminalising the work of civic society organisations.